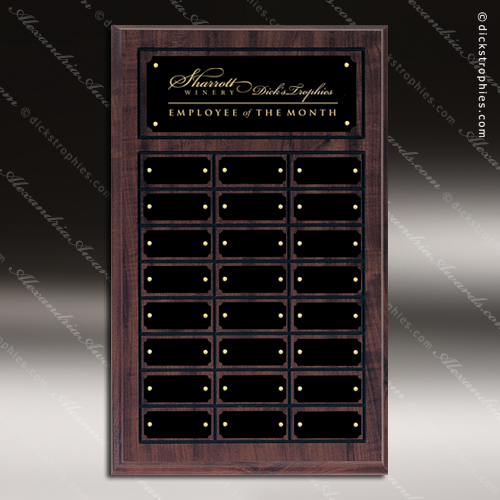 The Tagliarini Rosewood Perpetual Plaque 24 Black Plates. 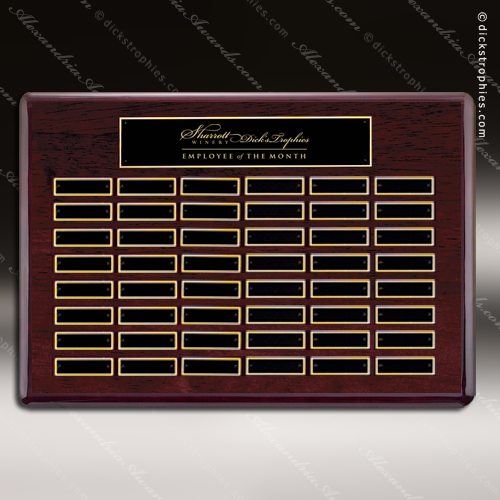 Rosewood piano finish perpetual plaque with 2 plate combinations. The same production techniques used to give expensive grand pianos their glossy look is available as a recognition award. Over six layers of lacquer are hand applied and polished to create our plaques. Laser engravable solid brass engraving plates. Individually boxed. Individual plates are 1" x 3-1/4". 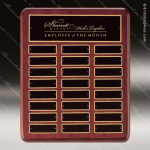 The Tagmillo Rosewood Perpetual Plaque 24 Black Plates. Roster Series perpetual plaque with rosewood piano-finish. Individual plates are 7/8" x 2 3/4". Laser engravable brass plates. Individually boxed. 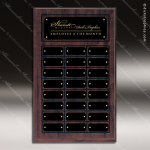 The Tagmillo Rosewood Perpetual Plaque 36 Black Plates. Roster Series perpetual plaque with rosewood piano-finish. Individual plates are 7/8" x 2 3/4". 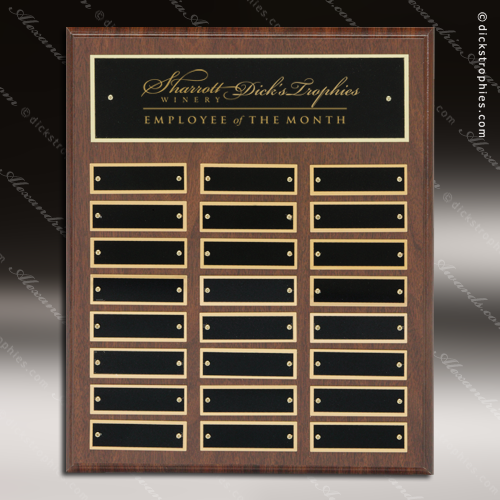 Laser engravable brass plates. Individually boxed. The Tagmillo Rosewood Perpetual Plaque 40 Black Plates. Roster Series perpetual plaque with rosewood piano-finish. Individual plates are 7/8" x 2 3/4". Laser engravable brass plates. Individually boxed. The Tagmillo Rosewood Perpetual Plaque 48 Black Plates. 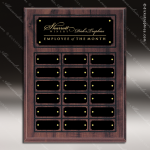 Roster Series perpetual plaque with rosewood piano-finish. Individual plates are 7/8" x 2 3/4". Laser engravable brass plates. Individually boxed. 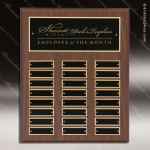 The Tagmillo Rosewood Perpetual Plaque 60 Black Plates. 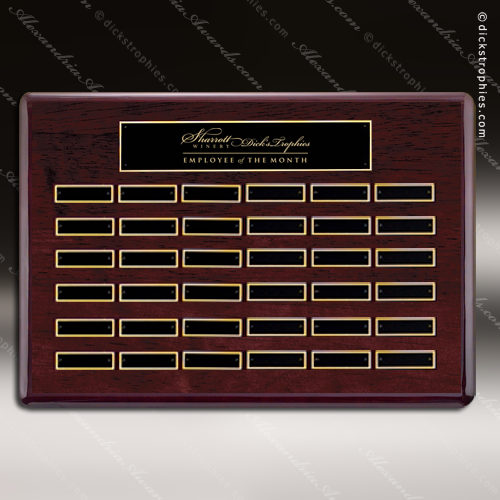 Roster Series perpetual plaque with rosewood piano-finish. Individual plates are 7/8" x 2 3/4". Laser engravable brass plates. Individually boxed.